Miami University Middletown will present a free performance of the Peking Opera by the Taiwan National College of the Performing Arts at 6:15 p.m. on Thursday, Sept.13 in the Campus and Community Center. 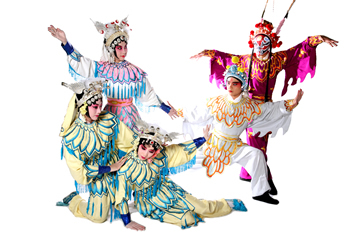 An authentic Chinese cuisine buffet will begin at 6:15 p.m. followed by the performance at 7:15 p.m.
Peking Opera is a Chinese national treasure, combining music, vocal performance, mime, dance and acrobatics. Peking Opera costumes are graceful, with handcrafted embroidery. The make-up is rich in color, depicting different characters with remarkable facial painting. Free and open to the public, this event is sponsored by Miami University’s Center for Performing Arts and Miami University Regional’s International Programs.